4C hair can grow long and beautiful! 4C hair needs more moisture and careful treatment just like every one's hair. It needs more moisture, because it prone to breakage (just like all black hair). Please know that length is possible with 4C Hair. Keep a little spray bottle filled with distilled water and your favorite oils around. Keep it in your work desk, purse, office, or wherever! Black hair grows when it's being taken care of! 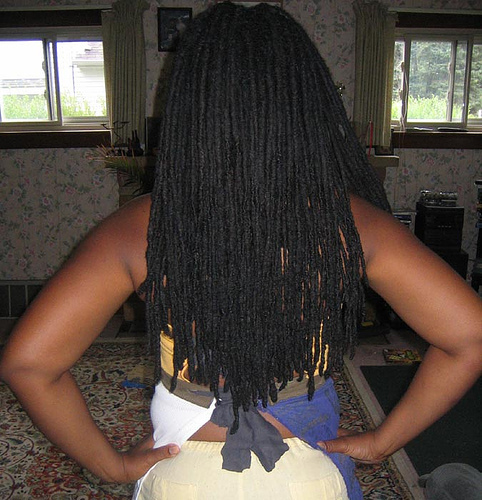 For instance, have you seen Black Men or Black Women with really long locks? Well, that's not weave is it!? It's their hair!!! This is evidence that BLACK hair can and will grow. Even past your waistline. When black hair is left alone, meaning not tightly pulled or chemically altered, it grows! 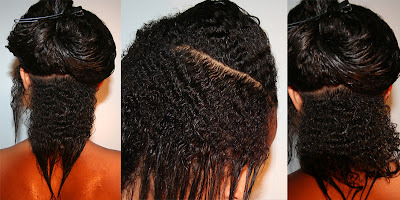 Keep in mind that when you wear your hair out, and the ends are loose, you must keep moisture on those ends. All black hair needs moisture!!! No one is exempt from this fact. But my 4C sisters & brothers, do not be discouraged, your hair CAN and will GROW! Mine does the same so I know how you feel but i rock my fro and dress it up with flowers and hair clips and always get compliments!!!! Hi I feel you 100%, I'm a 4b/c myself. Mostly 4c but maybe you can check out my blog to see if you can find anything helpful or you can just ask me on there.